The Motoport ¼ Zip Aero-Tex Rain Jacket is the one of the two motorcycle specific rain jackets we hand make in the USA. 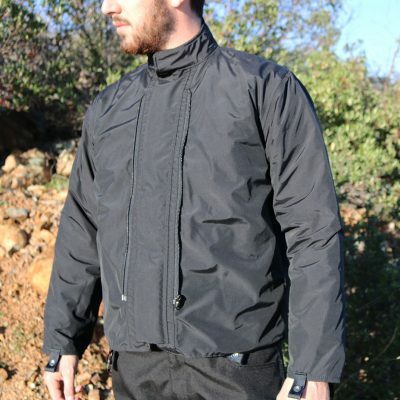 This is the most advanced Waterproof/Windproof/Breathable material. 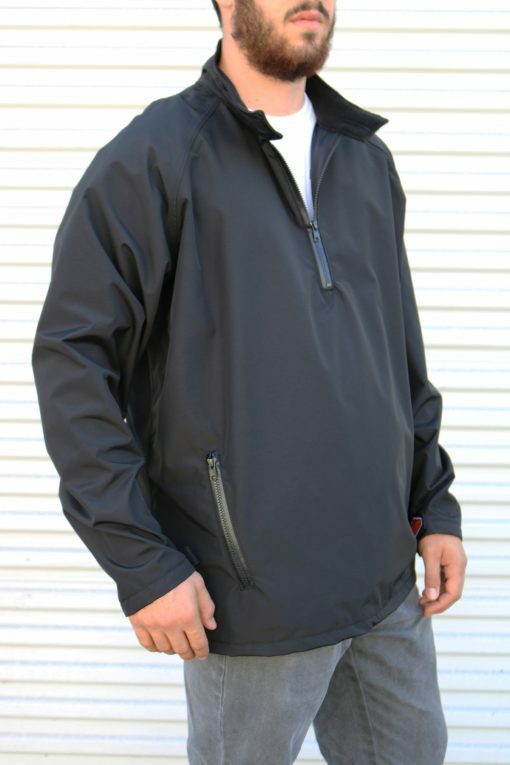 Gore-Tex and other breathable materials have a 20% or more plastic “Polyurethane” coating on the face fabric. 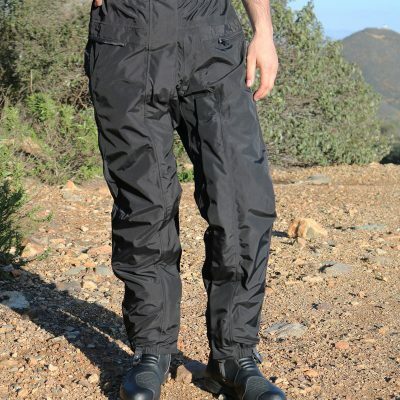 Our new Aero-Tex Liner has no Polyurethane coating on the face fabric or nylon mesh inner liner. 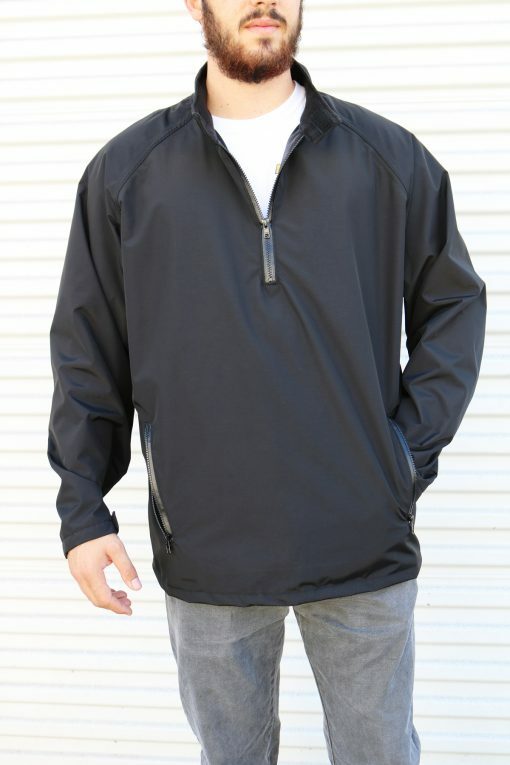 This rain jacket is more breathable in the warmer temperatures. 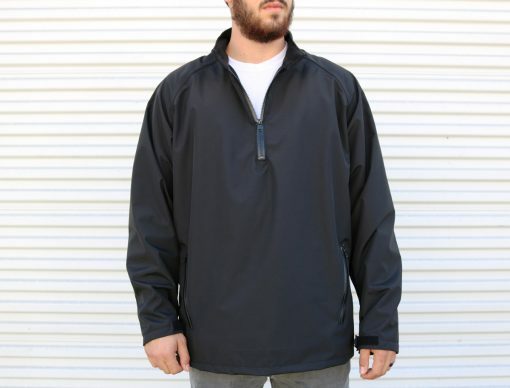 Our Aero-Tex Rain Jacket is guaranteed to be 100% Waterproof, Windproof and Breathable for the life of the garment. 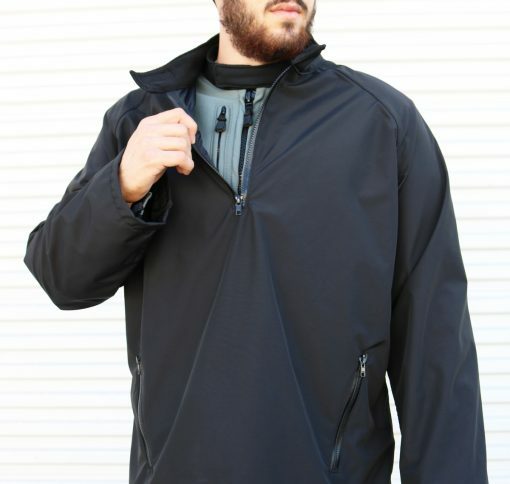 Even at speeds over 100mph our Aero-Tex Jacket will keep you dry and warm even in colder temperatures. 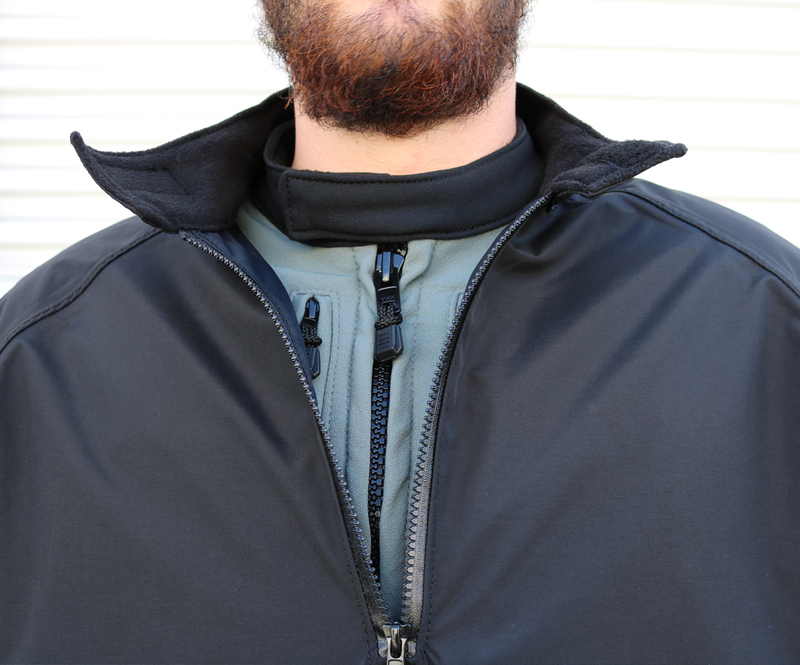 The ¼ main zip design and hand warmer pockets give this jacket a stylish look good enough to wearon and off the bike. All construction seams double stitched and seam sealed on the inside. Velcro adjustment in the collar and base of the hem on both sides and wrists. Two large hand warmer front pockets. Heavy duty YKK water resistant zippers all around. Polar Fleece lined inside collar. Scotchlite reflective can be added for a additional cost. Please let us know what type of apparel will be worn under jacket. 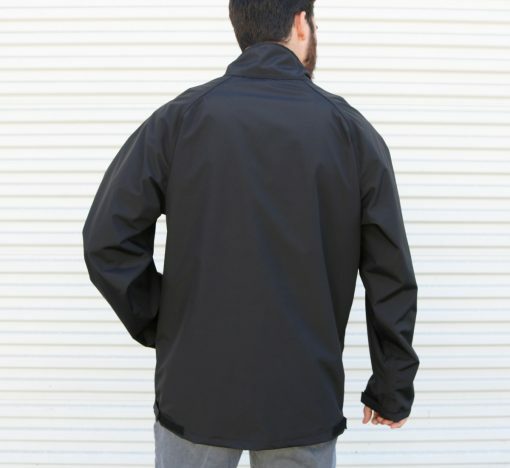 Please call or email your measurements to ensure proper fitting jacket. For riders that require custom sizing please call 800-777-6499 or email. 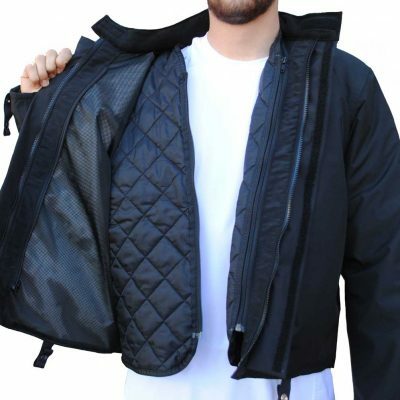 Customer Satisfaction 100% Guaranteed on all standard sized, standard color jacket. Repairs or alterations can be made.